Voir Dire Archives - В сложной финансовой ситуации приходит на помощь кредит наличными в Казахстане. Voir dire, as mentioned in prior postings, is a very important part of the jury trial process. Voir dire is when the parties have an opportunity to examine and question prospective jurors in the context of their theme and case in order to determine which six jurors (and alternate) should be sworn in on the jury panel. 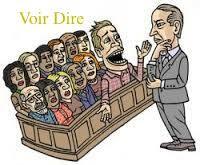 The objective behind voir dire is to ensure that parties have a fair and impartial jury. Williams v. State, 424 So.2d 148 (Fla. 5th DCA 1982). The trial court has discretion to control voir dire including limiting argumentative or repetitive examination. Leamon v. Punales, 582 So.2d 8 (Fla. 3d DCA 1991); Allen v. Se-Go Industries, Inc., 510 So.2d 1097 (Fla. 3d DCA 1987) (trial court had discretion to conduct voir dire and then limit each party to 20 minutes to examine prospective jurors); but see Carver v. Niedermayer, 920 So.2d 123 (Fla. 4th DCA 2006) (trial court limiting parties voir dire to 30 minutes to examine 19 prospective jurors was arbitrary and constituted reversible error). A trial court’s control or limitations imposed on voir dire will not be disturbed unless the trial court abused its discretion. Sisto v. Aetna Cas. and Sur. Co., 689 So.2d 438 (Fla. 4th DCA 1997). Hence, the standard of appellate review is abuse of discretion. A trial court will be deemed to abuse its discretion in controlling the voir dire process if it prevents a party of its right in conducting a reasonable examination to ensure a fair and impartial jury is selected. 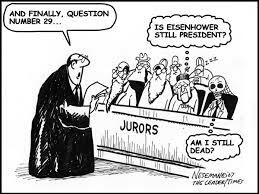 A reasonable voir dire examination assists the parties “in determining whether a particular juror should be the subject of either a challenge for cause or a peremptory challenge.” Carver, 920 So.2d at 124 (quotation and citation omitted). Thus, it would be an abuse of discretion to deprive a party of this right to reasonably identify prospective jurors to challenge. See id. For instance, in the personal injury case Sisto, the trial court prevented the plaintiff from inquiring as to prospective jurors’ views concerning personal injury lawsuits and damage awards. This limitation prevented the plaintiff from going into prospective jurors’ views and feelings on non-economic damages that are largely the type of damages awarded in a personal injury case. If you’ve suffered a personal injury you might have been unable to work. If you have to take this to court then you might want to double check how much you are owed (you can calculate lost wages for personal injury case here). Naturally, this is an important aspect of a personal injury case that impacted the plaintiff’s exercise of peremptory challenges or excusing a prospective juror for cause based on that juror’s feelings and views about non-economic damages awarded in the personal injury context. The jury found for the plaintiff but did not award the plaintiff any non-economic damages. The plaintiff appealed and the appellate court found that the trial court abused its discretion in limiting the plaintiff’s voir dire examination and remanded the case for a new trial. Previously, I discussed the basics regarding peremptory challenges. What if the court grants or denies a peremptory challenge and a party wants to appeal that ruling at the conclusion of the trial? A party will want to potentially appeal if (a) a party challenges its opponent’s use of a peremptory challenge arguing that the opponent wants to strike a juror for a racially motivated basis and the court still grants / sustains the peremptory challenge or, alternatively, (b) a party challenges its opponent’s use of a peremptory challenge arguing that the opponent wants to strike a juror for a racially motivated basis and the court agrees and prevents the opponent from using its peremptory challenge to strike the juror. The standard of appellate review for peremptory challenges is abuse of discretion. The School Board of Broward County, FL v. Trintec Construction, Inc., 936 So.2d 655 (Fla. 4th DCA 2006). (Please see this posting for more on the abuse of discretion standard of appellate review.) 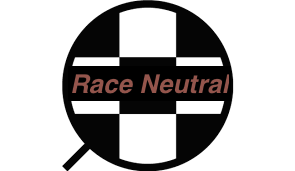 In a nutshell, when an opposing party believes that a peremptory challenge is being used in a discriminatory fashion, they must timely object demonstrating the prospective juror is a member of a distinct racial group. The party using the peremptory challenge must then provide its race-neutral reason for striking the juror; if the court believes that reason is genuine and not pretextual, the challenge should be sustained and should be affirmed on appeal unless it is clearly erroneous. See Trintec, 936 So.2d at 657 (relying on the Florida Supreme Court’s decision in Melbourne v. State, 679 So.2d 759 (Fla. 1996) to affirm trial court’s sustaining of a peremptory challenge). However, “[t]he denial of a party’s right to exercise peremptory challenges, so long as those challenges are not exercised in a racially improper manner, constitutes error.” See Michelin North America, Inc. v. Lovett, 731 So.2d 736, 740 (Fla. 4th DCA 1999) (granting defendant in civil case new trial when trial court denied defendant’s peremptory challenge); see also Smith v. Florida, 662 So.2d 1336 (Fla. 2d DCA 1995) and Hamilton v. State, 642 So.2d 817 (Fla. 3d DCA 1994) (granting criminal defendant new trial because court prevented defendant from exercising peremptory challenge). Stated differently, if a trial court denies a peremptory challenge when a party provides a race-neutral basis for that challenge will likely constitute an abuse of discretion entitling that party to the right to a new trial. The reason being is that a party’s use of peremptory challenges is to allow that party to have a fair and impartial trial; thus, preventing this right constitutes reversible error. 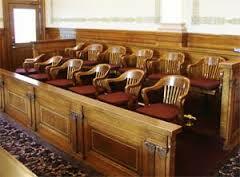 Civil jury trials in a Florida state court require 6 jurors. See Fla.Stat. s. 69.071. The court also generally directs for 1 or 2 alternate jurors to be selected. See Fla.R.Civ.P. 1.431(g). During jury selection in civil trials, or the voir dire process, parties have peremptory challenges and challenges for cause that are used to strike a prospective juror(s) from being sworn on the jury panel. These challenges are a very important component of the jury trial process designed to not only prevent biased or partial jurors from being sworn to the jury panel (challenges for cause), but to allow a party to strike a certain number of prospective jurors that are not preferable to their trial themes / strategies for reasons other than a discriminatory basis (peremptory challenges). Each party is entitled to 3 peremptory challenges. See Fla.R.Civ.P. 1.431(d). Peremptory challenges entitle a party to strike a prospective jury for any reason although that reason CANNOT be discriminatory / racially motivated. See Melbourne v. State, 679 So.2d 759 (Fla. 1996). Let’s say a plaintiff sues a defendant. During jury selection, each party will have 3 peremptory challenges. But, let’s say a plaintiff sues 2 different defendants. Under Florida law, each side is entitled to the same number of peremptory challenges. Since there are 2 defendants and each defendant is entitled to 3 peremptory challenges, this means that the entire defense has 6 peremptory challenges. In this scenario, it would be unfair for the plaintiff to have an unequal number than the defendants’ total so the plaintiff is entitled to have 6 peremptory challenges. See Fla.R.Civ.P. 1.431(d). If the court directs alternate jurors, each party is entitled to 1 peremptory challenge but the same rule applies that each side is entitled to an equal number of peremptory challenges. See Fla.R.Civ.P. 1.431(g). There is not a cap on the number of cause challenges but the basis for the cause challenge MUST be stated with specificity and determined by the judge. A challenge for cause is moving to strike a juror because that juror cannot be fair or impartial. See Fla.R.Civ.P. 1.431(c) (explaining cause challenges in civil trials); Fla.Stat. s. 913.03 (factors that allow a juror to be stricken for cause in criminal trials). 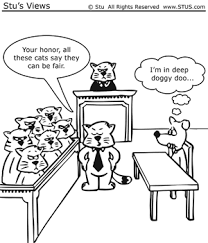 “[I]f there is reasonable doubt about the juror’s ability to be fair and impartial, the juror should be dismissed for cause.” Four Wood Consulting, LLC v. Fyne, 981 So.2d 2, 4-5 (Fla. 4th DCA 2007).